Drupal South 2019 / Round Two | weKnow Inc.
Last month I attended my second Drupal South in Canberra, the capital of Australia. Yep! the capital is Canberra, not Sydney. In my first Drupal South in 2016 I was invited to present a keynote. I also did a Drupal 8 training and a regular session. This time my experience was completely different, since I am a local resident in Australia now. I had the opportunity of presenting too, and enjoyed the conference from a different perspective. I definitely learned a lot from Australian colleagues whom now I can call my peers (plus, this time I get to understand the local jokes). Finding someone who knows Drupal in Australia is not that easy, and even more difficult in Tasmania. Events like this help train developers interested in adopting this technology. The last few months in our company (weKnow) we have been working in projects involving what I call “Offline Headless Drupal”, where we use Gatsby to create a React Application using Drupal 8 as the source of content. My session was “How to keep Drupal relevant in the API-driven and git-based CMS era”. In this architecture, Gatsby blends all content into React and puts it into a CDN, which not only improves UX and accelerates performance but also serves as the starting point for new integrations with modern tools of third-party providers. You can see my session slides here. GovCMS distribution and platform hosting is getting to the next level, especially with thei latest updates in their infrastructure and the incorporation of Drupal 8 to the distro. The future looks brilliant for Drupal in Australian Government and the number of Drupal sites in the next 24 months will increase significantly without a doubt. The new version supports Drupal 8 which has more features that make it possible to make better sites. Perhaps the biggest challenge for the community at this moment is to be able to find the talent to work on those new projects. Hosting more events like this will definitely help local Australians with valuable training that will enable them to participate in projects both in Australia and overseas. Remote work is a solution that can benefit programmers all over the world, and we could take great advantage from it too. In Australia, this expression doesn’t necessarily have a negative connotation; after all, we are in the extreme south! If you thought we could not go further down; yes we can and we will. 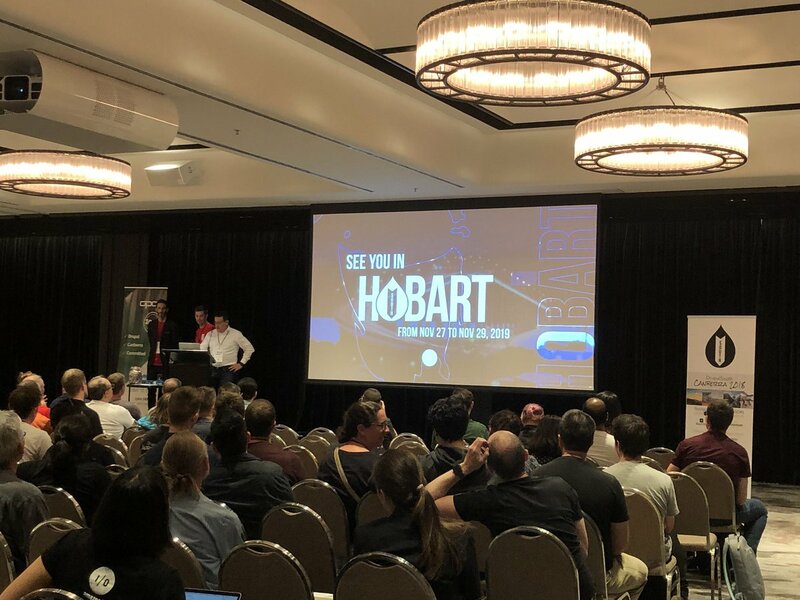 I’m glad to be part of the team that will be hosting Drupal South 2019 in Hobart, Tasmania, the place that I call home nowadays. We will put in all the effort to organize the best event we can. Come and enjoy Drupal, walk through the fantastic trails that Tasmania has to offer, and of course don’t miss the opportunity to meet the Iconic Tasmanian devil! See you there!